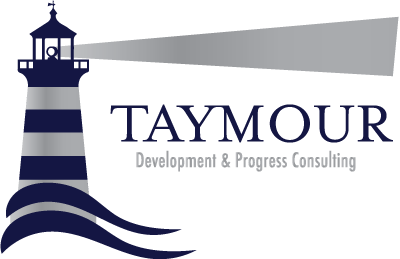 Decide To Decide « Taymour Consulting Ltd.
One of the most important elements I bring to my clients is the clarity to make the right decisions. A decision is NOT: “Could I have the Linguini in stead of the Lasagne please”. A decision, in essence, has far more weight and power behind it than a choice. In a way, a decision should be a binding self contract that you honour and stick to with your heart and soul. Naturally, to decide on something once and for all can be a daunting experience. Just think of all those choices to think about, all those outcomes to imagine and pros and cons to weigh. As such, it’s very understandable why some people take their time and eventually end up procrastinating to infinity and beyond. They get so overwhelmed and tense about deciding to decide that it leads to unnecessary worry and anxiety. There are three primary avenues to explore and appreciate when it comes to decisions. Imagine you are at your own funeral (just for the sake of this exercise). What do people say about you – not from the pulpit but in whispered voices at the back of the room? What would you like them to say? Which two people do you greatly admire and respect (they can be alive or dead – famous or not). Now give three reasons why you chose them. By now you ought to have a clearer picture about what values you hold dear as a person, so make sure whatever you are considering to decide complements the values you hold dear. Where people tend to go wrong is when their decision conflicts with their values, thus leading to self sabotage and never going to the next step. Secondly – This is the most common of them all, and it’s the fear of failure. Guess what? There is no such thing as failure, only a bad result that’s trying to tell you: “Try other ways, because this one didn’t work”. This reminds me of what Thomas Watson who’s the founder of IBM once said: “Would you like me to give you a formula for success? It’s quite simple really. Double your rate of failure”. If you closely look at any high achieving successful person out there today, every single one of them has had to struggle to succeed, and they had to fight against the odds to make their dreams come true because they saw failure as a bad result that taught them a lesson. If you really don’t want to fail, don’t stop trying to succeed. Time and time again, people get disheartened and let go of life changing decisions that can greatly improve their lives because they imagine a negative result. Remember, imagination is far more powerful than will, so make sure you imagine your success and see your decision all the way through. Since you do not know what the exact result will be, why imagine a bad one? Thirdly – Ask yourself: What’s my decision making strategy? To help you with this, go back in your mind to a time when you decided something, took the necessary action and made it happen. It could be anything, a vacation you planned, a project you were in charge of or even a business you started. Now, ask yourself how you decided what you did. Did you suddenly say YES! Let’s just do it? Or did you have a strategy that worked. For example, I thought of my decision, asked what it would do for me, then weighed the pros and cons, and finally I took action. Your strategy might be different to the above example, so go inside and notice how you went about it. Break it down into small segments so you can notice how and what you did with ease. Now that you drew out your decision making strategy, apply that very same approach to the decision you’re struggling with and take the action that appeals to you. This reminds me of Client I recently had who was so analytical (a typical accountant) that he over processed everything and never really took the actions he knew he had to. Sometimes, it’s best to trust your instinct and go with it because that’s how the best decisions are made. Small changes can yield the biggest results. Think of a woman who walks out on an abusive husband and never looks back. Think of the bride who is being coerced into a marriage she knows is wrong and storms out of the wedding in time only to discover later on that the husband to be was secretly a compulsive gambler. Or the young Canadian who knew his passion was shoes and decided to fly half way across the globe to study at London’s Cordwainers Technical (now part of the London Collage of Fashion). That young Canadian is Patrick Cox the famous shoe designer, and the other two women mentioned above are also real life examples of Clients I’ve worked with. Remember that the power to make a decision is the power to change your life. So from now on, please decide to decide.